Is a N topdress needed? Top-dressing N is expensive as it requires an airplane, and the fertilizer is expensive relative to aqua-ammonia. Top-dress N applications are absolutely needed if the plant is N stressed, which typically shows up as yellowing of lower leaves. That said, I suggest planning so a top-dress N application is unnecessary. 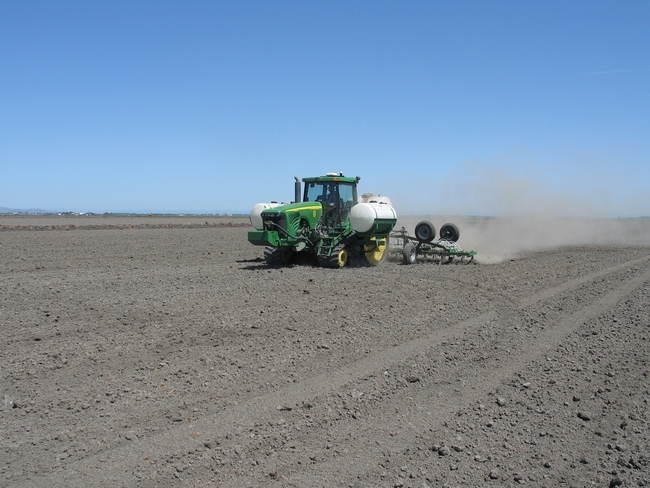 Research conducted on-station and on-farm has shown that if an adequate amount of N is applied at planting, a top-dress is not needed to achieve maximum yields. If you find yourself constantly needing a top-dress N application at PI, you might want to increase your preplant N rate. I don't want you to necessarily take my word on this, but I encourage you to do your own testing to see if this is really necessary. A simple test involves three treatments across a field: (1) standard preplant N rate with no top-dress; (2) standard preplant N rate with top-dress and (3) increased preplant N rate with no top-dress. The total amount of N in treatments 2 and 3 should be the same, and this will tell you if yield improved with a split. Having treatment 1 in the field lets you know if a top-dress or increased N rate was necessary to begin with. At harvest, use a combine with a yield monitor to test for differences within the treatments.